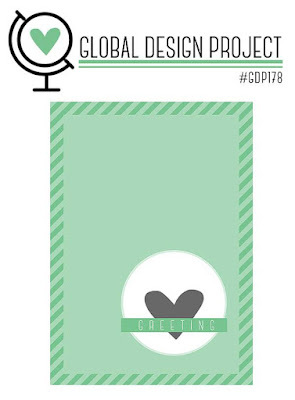 This week GDP is a sketch challenge, a clean and simple layout. Sometimes those are the most difficult to create when I struggle with open space. 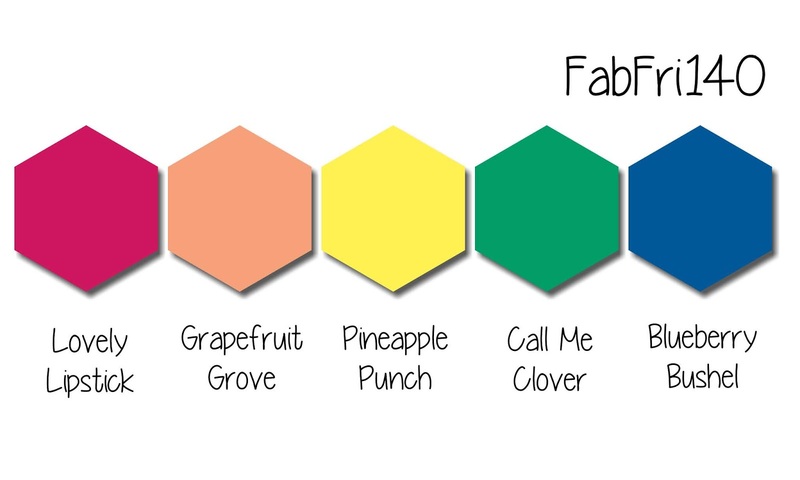 I haven’t looked at the challenge in a few days, but did check out the Fab Friday challenge, which is where I got the three colors of Mossy Meadow, Calypso Coral, and Petal Pink. I knew I would struggle with the open space on this card, so I used the Crackled Paint background stamp. I chose Smoky Slate and stamped it off before stamping on the Whisper White cardstock. It is subtle, but does provide the pattern I wanted. 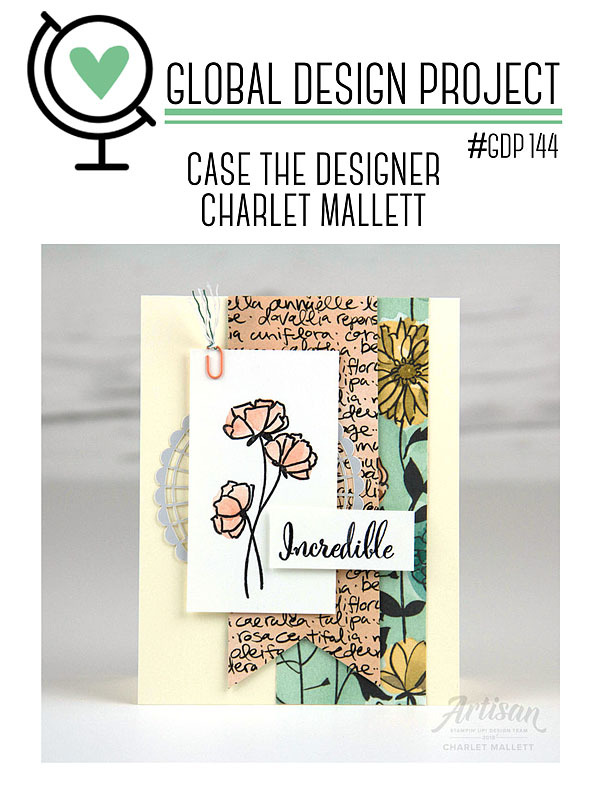 The Daisy Delight stamp set is the only one I used for this card, along with the coordinating daisy punch. I also used the Leaf Sprig punch. I used the Mossy Meadow for the base color, sentiment, leaf sprigs, and the center of the daisy. For the center, I stamped off the solid full dot and then used the second stamp at full strength. 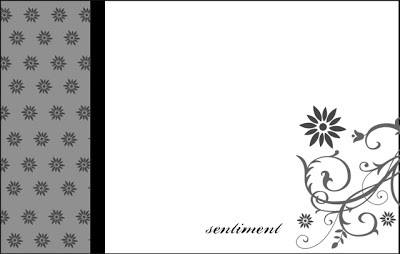 Calypso Coral provided the ink for the daisy, and the background strip for the sentiment. I stamped the daisy on Petal Pink cardstock in Calypso Coral as well. I also bordered the Crackled Paint background with Calypso Coral ink, which kept me from needing another layer of cardstock. Finally, I tied a bow using the Calypso Coral Nature’s Twine. Then, I popped up the base of the card using mini-dimensionals on the Mossy Meadow cardstock base. Stamp, ink, Paper # 188 challenge is to use a favorite stamp set, ink, and paper. Easy choice – Animal Expedition Suite, which I absolutely love. 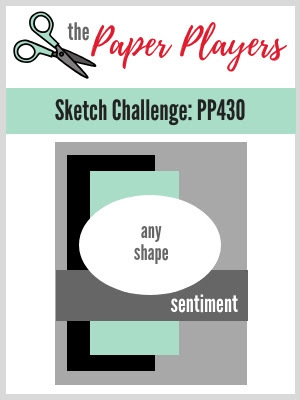 Paper Players # 430 is a sketch challenge, and it really fit this suite. How could you not love this suite? The colors in this suite are just as wonderful as the stamp and die bundle. 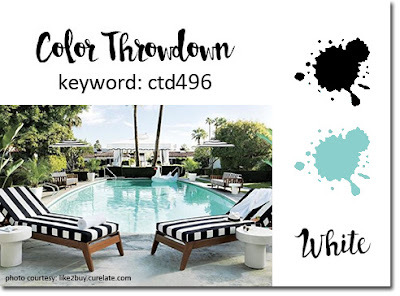 The pattern on the background DSP includes Lemon Lime Twist and Pool Party, which impacted the colors I featured on this card. 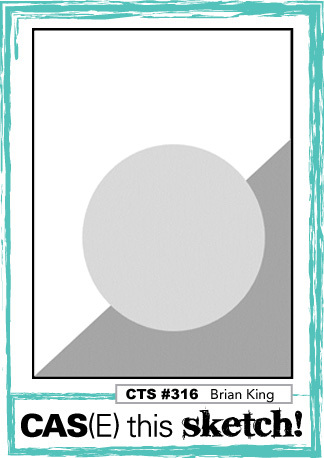 The Pool Party cardstock was run through the Big Shot using the Subtle TIEF. Crossing my fingers and toes that this TIEF carries over! A different patter of the DSP was layered on the cardstock. I used a third DSP pattern for the horizontal strip of paper. Now, the fun and relaxing coloring part. I stamped a rhino on a piece of Whisper White and then used the Stitched Shapes square to crop it out. As usual, I used a marker to enhance the stitches in the ditch, in this case I used Lemon Lime Twist. Next, I stamped another rhino and cropped it using the Animal Outing thinlits. I originally colored the rhino with the Basic Black light and dark blends. I also colored the bird, but used Stamping Write markers along with the Lemon Lime Twist blends. After adhering mini-dimensionals to the back of the rhino, I layered it directly on top of the originally stamped rhino. Then I added the sentiment and had to just use my trimmer to get a size that would fit on the already layered card. After finishing the card, I let it sit overnight. When I came back the following night, I decided I colored the rhino using the wrong blends. 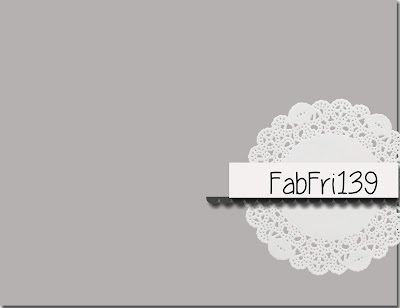 So, I again stamped and cropped it and started coloring again but used the Basic Grey blends. What a difference! Then I carefully layered the new rhino directly over the too dark rhino. I especially like the shadows created by the popped up rhinos and am glad I stamped a rhino on the underlying mat. Finally, I used yet another DSP pattern to decorate the envelope flap. For the front of the envelope, which you can’t see, I stamped the giraffe from this adorable stamp set. Thank you for stopping by today. This two-fer was fun to create. 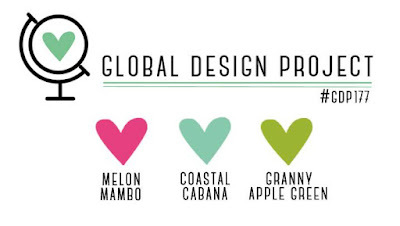 Melon Mambo, Coastal Cabana, and Granny Apple Green Who knew? Who knew? Without this challenge, I would never have put these three colors together. However, they really work together. The combination of these colors are fresh and bright. I tend not to look at the design team members’ cards when I open the page. In this case, I probably should have done so because their cards are awesomely sophisticated. Mine, on the other hand, is quite whimsical. The mats for this card are Melon Mambo topped by Granny Apple Green. I used the bokeh dot stamps from the Beauty Abounds cling stamp set in the Ocassions catalog. Love bokeh! Using Whisper White as a base, I started with the Melon Mambo and the larger of the two stamps to cover the white. Next, I used Coastal Cabana on the small bokeh stamp and interspersed it between the larger dots. The Granny Apple Green dots are actually the white pearl basic jewels which I colored with the Dark Granny Apple Green blend marker. After creating my own DSP, I cut it into thirds, and used my Coastal Cabana marker to color the edges of each of the three pieces. Popped all of them up on mini-dimensionals, and put them on the Granny Apple Green mat. Then I decided to add the ribbon, and thankfully I was able to slip it between the dimensionals and tie if off in a square knot. I used two sentiments from the Incredible You stamp set, also in the Ocassions catalog, and cropped them using the Stitched Shapes framelits and the Layering Oval framelits. I then stamped the inside bokeh dots, and the envelope to match. And, ta-da, I was done. I knew I wanted to create a fun fold for this blog hop, and I found a video tutorial by Frances Martin for the wiper card. So much fun! I also found a diagram on Pinterest by Stamping with Belinda, which I tweaked just a 1/8 of an inch, so my finished card is 5.5 inches by 4.25 inches. The number of pictures I took trying to explain the process would have made this post the length of a booklet, so please visit these two links as the directions are clear and concise. I knew that the moving parts and the base would take some time since it’s the first time trying to create it. Therefore, I created the front and back elements the first night and the moving base and parts was created the next night. I used the Bloom by Bloom DSP for the background of both sides, and used a piece of vellum cardstock to tone down the DSP behind the layered”Happy Birthday” sentiment. In order to hold down the vellum, there is some liquid Tombow behind the sentiment, but that didn’t do anything for the corners. Enter the Night of Navy enamel dots, which cover a glue dot holding the vellum down on the DSP. I layered the DSP on Mint Macaron, which I then layered on Coastal Coral. The bases and moving parts are Call Me Clover. The next decisions I made all had to do with the stamp sets. I have not recieved the Bloom by Bloom stamp set yet (I initially thought I wouldn’t need it if I had the DSP. WRONG!) so I used the Incredible Like You photopolymer stamp set for the back greeting and flower/leaves. Magic Happens When the Sides are Pulled Apart. I usually run my cards past my husband (and his comments have become much more detailed and informed), and he had me pull the sides open and closed 3 or 4 times. He loved the magic of the interaction. 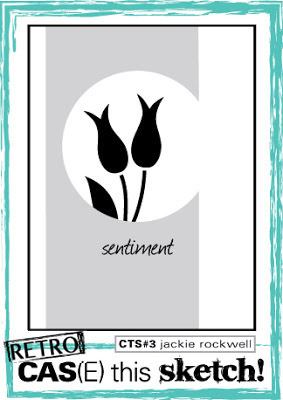 I had to make another decision about a mini sentiment and flower stamp set. 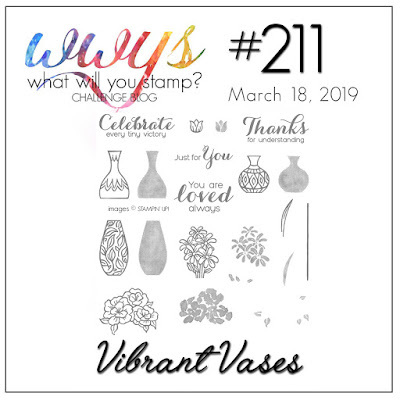 I turned to the Varied Vases stamp set for the Birthday Wishes and flower stems. Initially I thought I would cut the Birthday Wishes stamp in half to fit it on the little flap. I tried, and even got the scissors positioned between the words, but couldn’t bring myself to cut it apart. I decided to use the Call Me Clover Stamping Marker to color each word so I could stamp them separately. After all these layers, I thought for sure I would have a difficult time getting the card in the medium SU envelope. I was pleasantly surprised when it fit in the envelope, and have pictures to proof it. Mind you, this card is going to need extra postage, but it easily fit in the envelope. I love to read, I love the library, and I love to create. Therefore, when combined together, three of my favorite pasttimes mesh together. 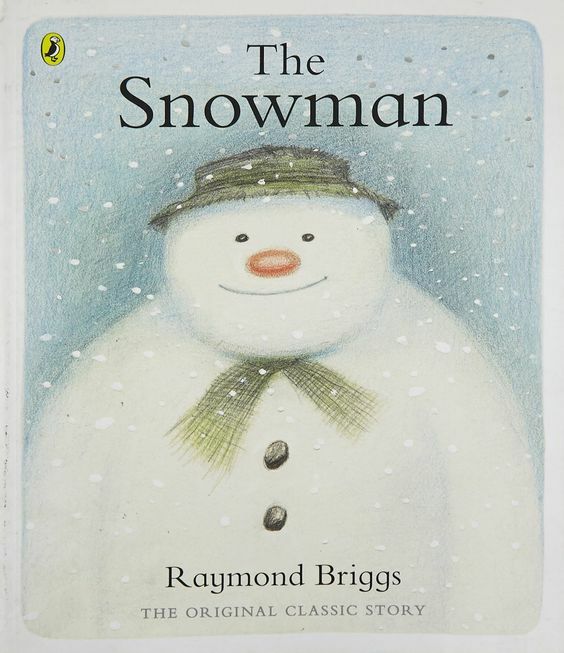 The Snowman, by Raymond Briggs, is the inspiration for The Library Challenge # 22. 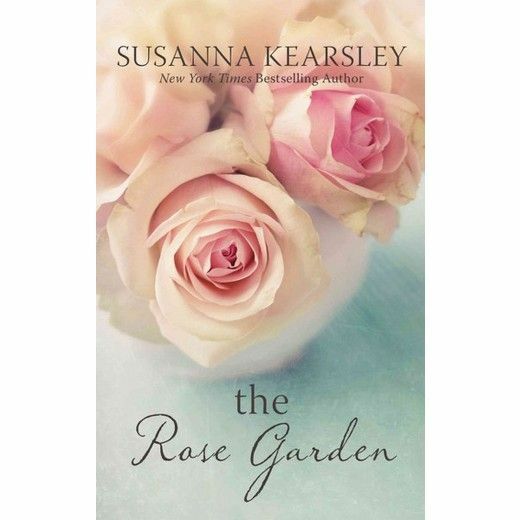 The inspiration can come from the cover, the story, or the title. The sweetness of the cover and the title inspired me. I think I’ve finally learned my lesson; when I see a suite I absolutely love, I need to just get it all. I can’t wait any more because I seem to miss out more times than not. The Santa’s Workshop suite, and the speed at which it sold out, finally convinced me. I purchased the stamp set, and had purchased a paper share for the holiday catalog DSP, so that’s what I had to use. I’ve colored many an elf, Santa, Mrs. Claus, and the rest of the stamps, which has been relaxing and fun, but having more DSP and the coordinating thinlets would have been so much better. One pattern in this DSP pack is all about the snowmen. Love it as each snowman in the repeating pattern is adorable and full of life, just like the cover of the book. Since I was using the sentiment “Wishing you everything on your list….” I chose to have the snowman getting the present as my focal image. This simple card came together quickly with just the DSP, sentiment, and the Poppy Parade ribbon, all of which is in the Suite. I don’t know about you, but I am still not finished with my Christmas cards. It’s 12.22, and I am still making cards. Last year I finished my cards by Thanksgiving, which was wonderful. I am going to have to do a better job next year. Thank you for stopping by. 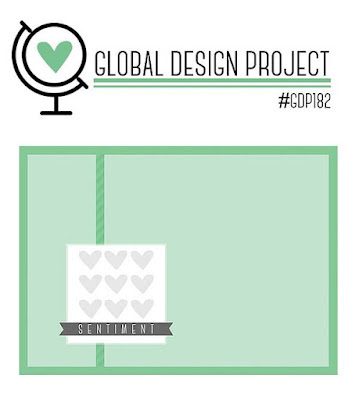 I’d love to see what you created using this sweet DSP, so feel free to post a pic in the comment section. Welcome to the Final InKing Royalty Blog Hop for 2018! As I’ve said, I am a teacher and, as of the date of this post, I am on Christmas break. (YEAH!!) Exams are done and graded, grades posted, and I am looking forward to just enjoying and relaxing. 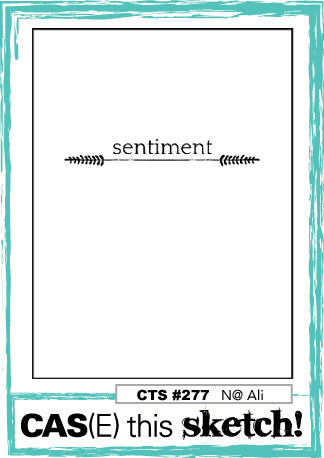 Today’s card looks time-consuming and complicated , but it is super simple. 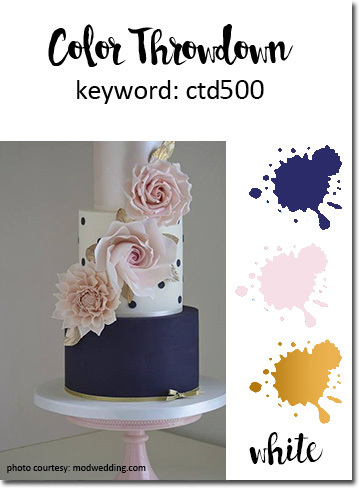 At the end of this post, you will find the easy step to create this diagonal gate fold. For the top flap, I used a piece of the Joyous Noel DSP. This paper is gorgeous, and if you like non-traditional holiday colors, this paper is for you! The bottom flap is a piece of Merry Merlot, which was run through the Big Shot in the Basketweave TIEF. The Snowfall Thinlets provided the die cut snowflake flourish. This was the most time-consuming part of the whole card because I couldn’t make up my mind for the best paper to use. After trying a couple of other options, I finally remembered the Glossy Whisper White cardstock. The white flourish really pops off the Merlot basketweave. Problem solved, shine added, all is well with the card. The stamping for this card is all from one set, the photopolymer Making Christmas Bright stamp set. It’s the first Christmas set I bought this year, and the last one I used. I didn’t want just a plain circle for my sentiment, so I pulled the starred circle and stamped it in Tranquil Tide on Whisper White, cropped with one of the Layering Circles dies. Merry Merlot seemed like the natural choice for the sentiment, and I think the stamp set’s font is just fabulous! 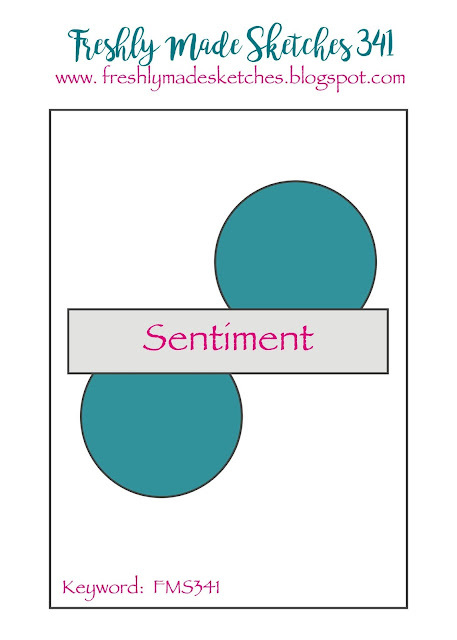 The mat for the sentiment is cropped with the Stitched Shapes circle. 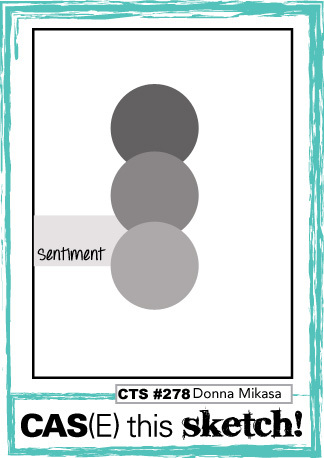 I used dimensionals under the top half of the sentiment only. If you put dimensionals on the whole circle, you will adhere the gates together and it won’t open. I didn’t want my sentiment on the inside to just be floating on the Whisper White, so I stamped another starred circle in Tranquil Tide. Merry Merlot was used for the inside sentiment as well. I did want just a touch of a border of color around the top layers of DSP and cardstock, so I used a Merry Merlot Stamping Write Marker to edge the papers. Mary Deatherage, from Stamps-n-Lingers, has a fb live every Sunday evening. During the course of the months I have watched her lives, I have gotten into the habit of creating a coordinating envelope for my cards. 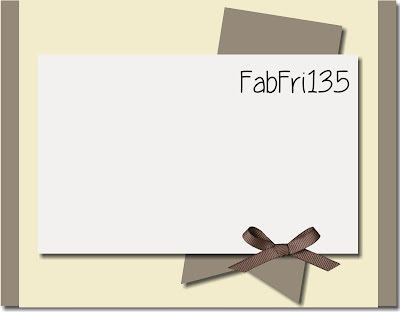 This card is no different and I used a coordinating piece of DSP from Joyous Noel for the flap. The starred border on the front is from the Making Spirits Bright stamp set. Love. I found this fold on a binge of YouTube videos during which I just clicked and clicked and kept clicking. Therefore, I have no idea on which demo’s video I saw these super simple steps to the diagonal gate fold card. First, score the 8.5 x 11 cardstock at the horizontal and vertical halfway points. Next, you will need to remove the scoring blade from your paper trimmer to cut the diagonal corners cut from tip to tip. Be very careful with this diagonal cut, from which you will be able to get two card bases. Make sure to use a bone folder to really crease your diagonal gates. Sweet and simple. I hope you’ll hop along to the next stop on the blog hop, Brian King at stampwithbrian.com. You don’t want to miss all the inspiration in this group! I used the “Boo!” greeting in silver foil from the Paper Pumpkin kit. The September kit is full of fun products! I layered the sticker on a Basic Black Every Day Label punch, which I outlined in the clear Wink of Stella (which has been getting a real workout this Halloween). The DSP is from the fabulous Toil and Trouble suite. Every pattern in that DSP stack is wonderful, and I challenge you to just go for it and cut.it.all.up. Use it! Halloween only comes once a year! I chose the Pumpkin Pie and black cat pattern. To make the band, I used two pieces of the border print found on the cauldrons pattern paper. The border band is layered on black and I wrapped the black and silver Baker’s Twine around it 3 times. After tying a simple knot, I tied some of the Black Glittered Organdy ribbon from the suite. LOVE! When I finally decided to punch a black cat for the front, I knew the cat needed some dimension, so I added a knotted piece of the organdy ribbon. I attached the ribbon to the cat using a couple of mini glue dots for added stability. It’s all about layers with this card. The Pumpkin Pie cat paper is layered on Highland Heather, which is layered on Basic Black. The ribbon and baker’s twine is layered on the band. The cat is layered on the vellum, which is popped up on the DSP. The next part was tricky: trying to figure out how to adhere the vellum under the cat without having it show through, especially after using dimensionals on those elements. I used a combination of Tombow liquid glue and dimensionals to pop up the vellum and the cat. I carefully and purposefully placed the adhesives to fit under the cat and ribbon so it wouldn’t show. Mary Deatherage, from Stamps-n-Lingers, always encourages those watching her FB live videos to do something with the envelope to make it inviting with a peek of what’s inside. I used the same cat DSP for the envelope flap. In order to minimize waste, a piece of DSP cropped down to 6″ by 2.75″ will fit perfectly on the SU envelope flap. Bam, I have a finished card! Grades are due before I go to bed, and it’s already midnight. Thank you so much for stopping by today. I hope you’ll hop along to the next stop on the blog hop, Rachel Shedeed from BlueBonnet Stamping. There’s lots of inspiration to be found in this group – and you don’t want to miss it! 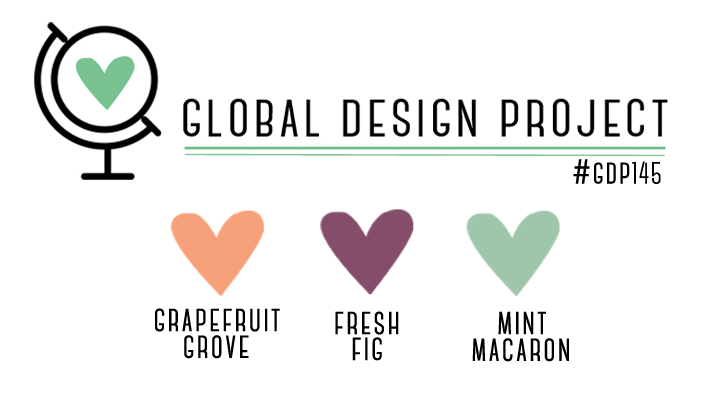 This week’s color challenge contains the trio of Grapefruit Grove, Fresh Fig, and Mint Macaron. Until this very second, I thought my card matched what I finally figured out in my head. Now, I am pretty bummed because I just realized I used Rich Razzleberry. UGH! I don’t know if I should go ahead and post it anyway or make another one using the correct colors. Decisions, decisions. Anyway, when I first saw the colors I thought that it was an interesting combination, to say the least. But then again, I usually react that way to their combinations. It truly is a challenge, but it widens my color world, so it’s all good. Admit it, you wouldn’t have put these three colors together if not for a challenge. But look how gorgeous they are together. First, I couldn’t stand knowing/thinking that I used the wrong color so I just finished another card for this challenge. In the original I actually used half Fresh Fig and half Rich Razzleberry. There are a couple of differences, and I will post my original card at the end of this blog post. The original couple of firsts mentioned in the subheading refers to the first time I used two new stamp sets: the Bokeh Dots clear mount set and the Calligraphy Essentials set. Both are fabulous, but there are some tips I’d like to share regarding each set. I’ve been participating in a couple of threads with demos on facebook regarding the Bokeh dots stamp. I have tried some of the tips and have found that the best results are achieved when the ink is rolled on the stamp using a brayer. I have a rubber brayer and it worked fabulously! Without the brayer, I was getting blotches instead of dots. Evidently, the stars stamp in this set doesn’t have an issue with ink. For the Calligraphy Essentials, which really goes with the current lettering trend, I found the coloring really needs a light hand for the ink. I also practiced coloring in the letters a few times on my grid paper before coloring on the Bokeh Dots. I used the Fresh Fig Stamping Write Marker, but have also seen cards where the Blends were used. 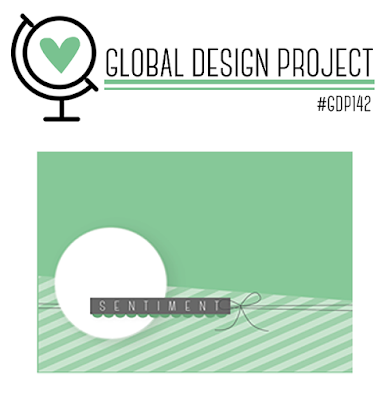 I used the DSP from Share What You Love, which I love, love, love. There are so many different colors leading to seemingly endless combinations. Some of the papers almost able to be printed on Shiny Whisper White cardstock because they have a beautiful shine. 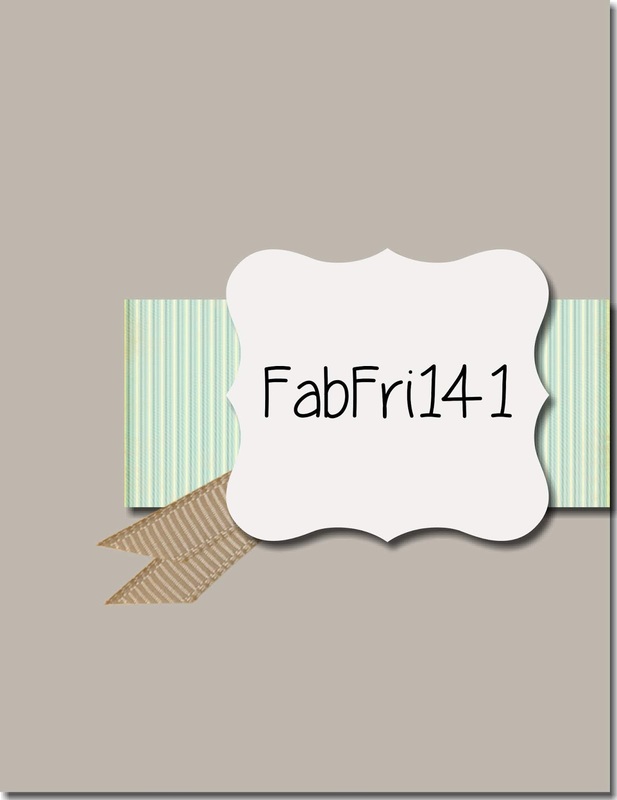 For this card, I chose the words in this on point font in Grapefruit Grove and Basic Black. Just a little side not about the DSP. While I was working on the first card I found the word “florida” included in the various other words. I just kind of thought that was interesting since I live in Florida. Oh well. I mounted the DSP on Fresh Fig cardstock and used the retired Fresh Fig ribbon as well. Since I am completely square knot challenged right now, I used a tip I saw somewhere; if it’s your idea, please let me know so I can give you credit. I’m including three photos to illustrate this tip. First, tie your ribbon around a TomBow liquid glue container. When you slide the ribbon off, you have a loop, which you cut in half. Now you have your square knot, and then just play with it until you get what knot you wanted. Easy Peasy. Also, does the word “florida” pop out at you in the third picture. For this card, I cropped two circles using the Stitched Shape framelits. Here’s one of the differences from the first card because I used an inner circle of Mint Macaron. You’ll see there’s no inner circle on the original card. One of my favorite things to do with the crops shapes from the Stitched Shapes framelits is to color in the ditch. I usually use the same marker as the color of cardstock. If I am coloring the ditch on DSP, I pull a coordinating color. I also used the Mint Macaron Stamping Write Marker to outline the sentiment piece, including the corners punched with the trio punch. After I added three Share What You Love Mint Macaron pearls, I popped the sentiment up on mini-dimensionals. While the first card was definitely an evolution, I knew what I was doing for the second. Well, except for cutting the DSP in the landscape instead of portrait orientation. Thanks so much for stopping by my little piece of the internet blog world. I completely enjoy hearing your thoughts and comments, so please feel free to leave one. 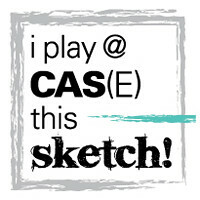 This week’s challenge is a CAS(E) the Designer challenge, which includes a variety of options for CAS(E)-ing. While I could have CASE’d the card layout, used it as inspiration, pulled from the DSP, etc. I chose to sort of follow the layout, used the same DSP stack, the SWYL stamp set, and incorporated the doile. The Share What You Love DSP is full of fabulous colors, gorgeous paper options, and all kinds of included accessories. I’ve already used this suite for a few cards, and thoroughly enjoy cutting the DSP up. I used Tranquil Tide for the base layer, So Saffron for the middle layer, and a piece of Berry Burst embossed using the Layered Leaves TIEF.. 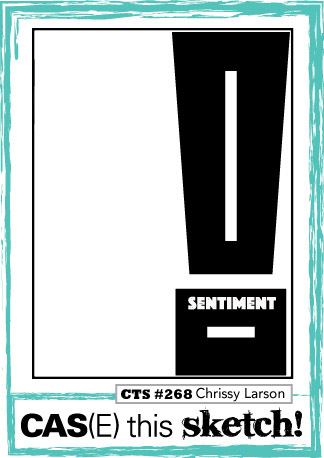 In addition to using the SWYL DSP, I also used one of the sentiments from the Love What You Do coordinating stamp set. The scripted fonts for all of these greetings are very versatile. I put the sentiment in the same spot as the challenge card. I started with a square piece of scrap Whisper White and used the trio punch to crop the corners. 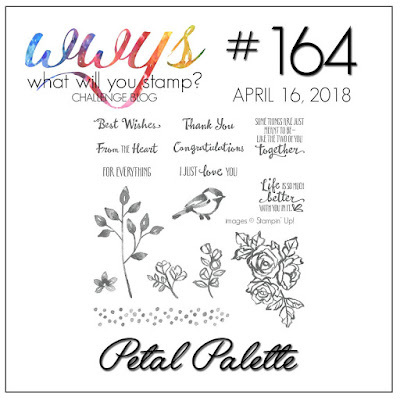 Since didn’t want a plain white background, I used So Saffron and one of the SWYL flower stamps. I stamped the flowers in full strength and then again without re-inking to give the background dimension. The sentiment was then stamped in Berry Burst. There were already so many layers on this card, I didn’t want to add yet another one under the DSP strip. Therefore, I used the Tranquil Tide Stamping Write marker to outine the border of the paper. Mary from Stamps-n-Lingers shared this trick on one of her Sunday night FB lives, and I have happily used it quite often. I cut the doile in half before adhering it to the back of the strip of DSP, and then popped it up on mini-dimensionals. 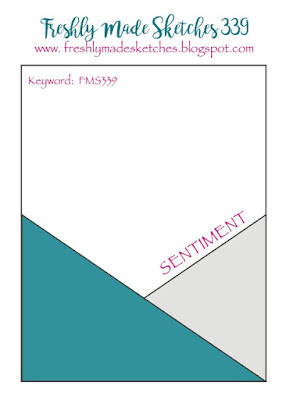 Dimensionals also provided dimension for the sentiment element. I really struggled with the ribbon, mainly because I am bow-challenged. Retired Berry Burst ribbon provided the bottom layer, and the current Whisper White Polka Dot Tulle ribbon. Bow challenged and layered ribbon: always a fun combination. Therefore I cheated and adhered the two layers together with glue dots and placed a flat layer on the card. Amazingly, I tied a square knot and wound up with the tulled on top. In order to hide the cheat, I used a small piece of Linen Thread to cinch the base ribbon and adhered the square knot using glue dots. Happiness abounds. Thank you for stopping by my blog today. 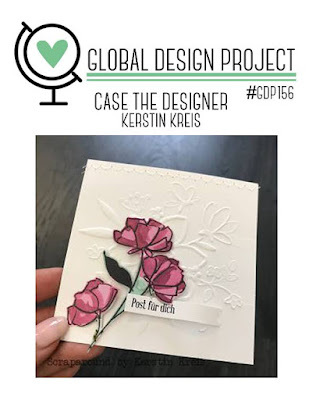 I hope you are inspired to play along with the Global Design Project challenges, which are posted every Monday. When I first saw this product suite, I was sold! I ordered the whole suite on my last order and finally had time to play with it today. 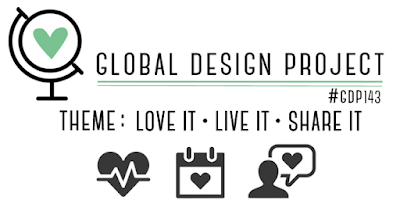 The theme challenge for Global Design Project # 143 is Love it, Live It, Share It. 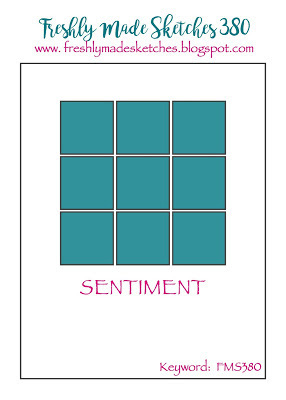 Well, I love this suite and will be sharing cards from it often. Earlier this week, I stumbled across the Take Two Clean and Simple Sketch Challenge. I thought the sketch layout would work with the Animal Outing suite, so I combined both challenges. When I am able to combine a theme challenge with a sketch challenge, I am a happy crafter. I used the Smoky Slate light and dark Blendabilities to color in this adorable rhino. While I knew I wanted some sort of color on the tusk, I didn’t want it to be Smoky Slate. I first colored in the tusk with the dark Blendability, and then realized my mistake. Therefore, I pulled out the Color Lifter Blendability and just kept un-coloring (is that even a word?) throughout the whole card making process. The cute bird is colored with Berry Burst and Lemon Lime Twist Stamping Write markers, highlighting the colors in the DSP. This Animal Expedition DSP pattern choice was made because I definitely wanted a bold contrast with the Whisper White base. I trimmed a piece of the DSP for the strip on the left side of the card. There is a border on the sketch, so I placed the DSP on a Smoky Slate background. I pulled the Lemon Lime Twist color out of the DSP, and used it for the Stitched Sketch die cut and the base of the card. The Whisper White background was necessary for the clean look, but I didn’t want a plain white background. Therefore, I embossed it with the Leaf TIEF, which really creates a deep embossed image. I really think the Stitched Shapes need some dimension, so I used the Lemon Lime Twist marker to “stitch” in the ditch. This simple stitching adds this finishing touch, so I do it very, very often with these dies. The sentiment was actually an after-thought because I realized after getting the rhino and the DSP strip on the white background that I had forgotten a sentiment. I had that exact piece of DSP left from my first cut, so I turned it over and stamped the sentiment on the lighter side. The sentiment is popped up on dimensionals, and I used the clear Wink of Stella to highlight just the letters. Finding a balance on this card proved challenging. After adding the leaf ribbon, I decided that the card needed something else. 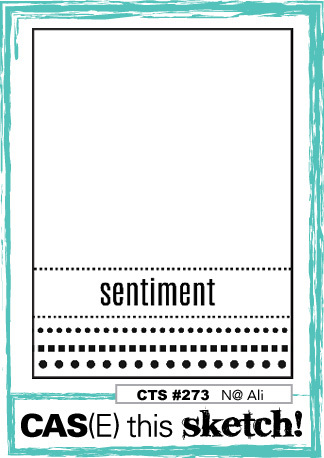 I pulled out the Faceted Dots from the Share What You Love suite and started putting them on the sentiment, then in the upper right corner, then the large one on the bottom left. I might have gone overboard with the dots when trying to balance out the card. My card layout matches the sketch challenge. I covered the GDP theme challenge by using what I love in the Animal Outing suite, and the sharing part from the Share What You Love pre-order. Thank you for stopping by my blog today. I appreciate your comments, so please feel free to leave one. There are times I will click, read and click again, repeat, repeat, repeat…… you get the idea. Somehow I wound up finding a new challenge, The Library Challenge seems perfect for me. I’ve always loved the library, and have many happy memories of childhood Saturdays at the East Islip Library on Long Island. I still love libraries, and when I taught elementary school I had a pretty extensive library of my own from which the kids could borrow books. Now that I am teaching high school, my library is mostly non-fiction, but it is a classroom library and I still love going to the library. This challenge’s theme is based on Maurice Sendak’s beloved book, and I went immediately to the A Little Wild stamp set. I knew I wanted to use all three of these adorable animals, so I needed a card larger than an A2 size. I decided on a Z-fold card, and then pulled out the Garden Impressions DSP. If you haven’t gotten this DSP yet, you need to do so quickly! Gorgeous colors and patterns. Bold and vibrant, with some subtle patterns as well. There were so many elements that went into making this card, and my desk mess was proof of the evolving card process. I used SU Blendabilities for the coloring, and this was the first time I was happy with the result. I don’t have an orange blendability, so I used the SU Stamping Write Pumpkin Pie marker to outline all the fur locks on the lion’s mane. Then I used the Daffodil Delight blends on the whole lion.. 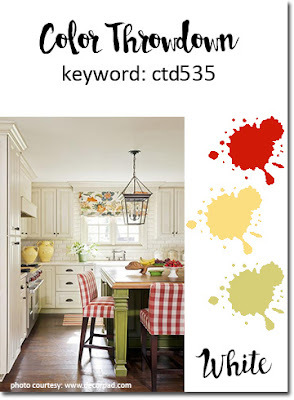 When I picked this fabulous DSP from Garden Impressions, my colors became Pacific Point, Shaded Spruce (LOVE!! ), Soft Sea Foam, and Whisper White. I used the DSP for the first and last folds of the card. Whisper White is in the middle for a little note. The Pacific Point banner was embossed with the Petal Burst embossing folder. I included circles cropped with the Stitched Shapes thinlets. I stamped the back fold circle with “To:, From:” because the area for the note in the middle was kind of small. The leaves were stamped using the Petal Punch and the stamps from the Painted Harvest stamp set. I used Soft Sea Foam cardstock, then stamped the fill stamp in the same ink. I finished with Shaded Spruce for the detailed leaf stamp. I love Maurice Sendak’s book, and this theme was fun. I hope I did justice to the book, while adding a playful twist. Thank you for visiting my blog. I hope you’ll leave a comment, especially if you are a library lover. When I am able to marry a color challenge with a sketch challenge, all kinds of happy things happen. 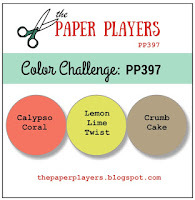 This Paper Players #397 color challenge of Calypso Coral, Lemon Lime Twist, and Crumb Cake (other neutrals are also ok) has been rolling around in my head for a few days. I’d thought of doing thin stripes of the Coral and Lemon, but it wasn’t working. I sat down today with the marble background stamp and pulled out the Stamparatus my card idea suddenly became clear. 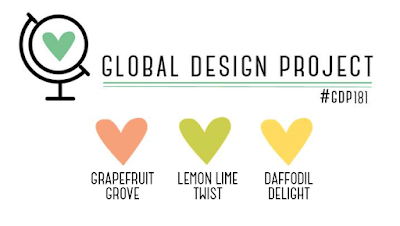 Since I was able to place both pieces of Whisper White cardstock in the exact same place on the grid, I was easily able to match up the stamp pattern on the Calypso Coral and Lemon Lime Twist stripes. For this card, I took the sketch as it was with no rotation of flipping. I first cut both stamped images into one inch strips. Since each piece was stamped in the exact same place (thank you, Stamparatus), I was able to match up the patterns so it looks more like double time stamping. I wanted a clean outline border on each stripe before I put it down on the Soft Suede. Therefore, I used my Stamping Write markers to lightly color the ends of the Whisper White. I’ve enlarged and cropped a portion of the card to show the sublty of the outline of the stripes. It also shows how I used the Soft Suede marker to outline the scalloped oval cut from Crumb Cake. While the two colored stripes may look difficult to line up, the Stamparatus was the key to getting both colors on exactly the same spots. I’d love to hear what you think, or even see a picture if you try to CAS(E) this card.